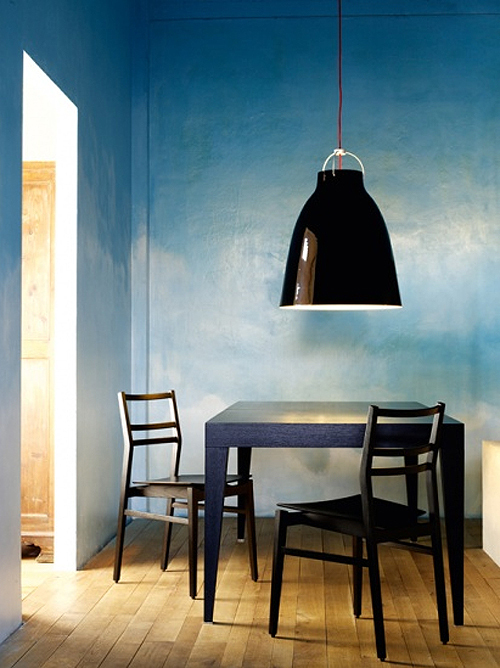 Today I’m loving … this gorgeous blue wall with the large Carvaggio pendant from Danish designer Cecilie Manz. A really wonderful blue wall ! It’s very nice with those black furniture. Good combination. I love the lamp but then I an a massive fan of oversized accessories etc. lovely color!! I want a wall like that! You are on the money with what you say. Thank you.